Membership is free find out about it here! 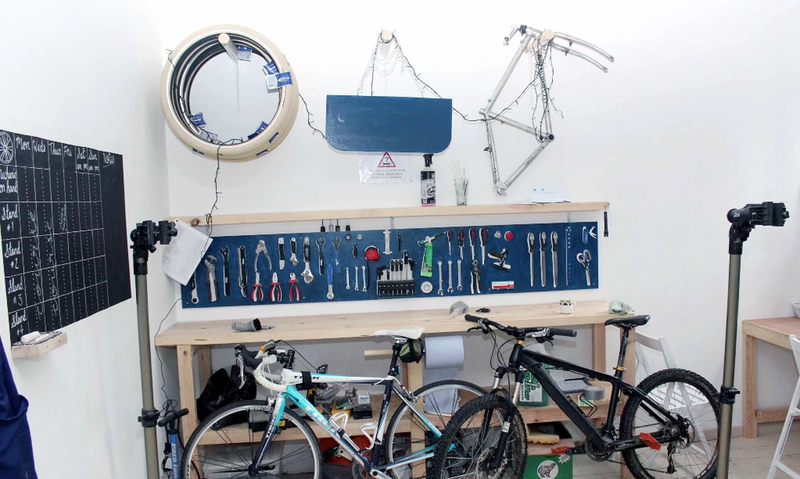 We offer access to the tools, the space and the experience of at least one bicycle mechanic on hand will allow you to fix your bicycle, potter, learn and explore new skills. To book a stand, and find out the workshop opening times, please visit the booking page. You can also hire the workshop and a mechanic for a bike fixing party.... contact neil@velocitylove.co.uk for more info!